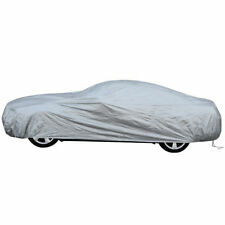 TITANIUM® CUSTOM-FIT CAR COVER - Strong Outdoor Weather Resistance Fabric! Protects your car from UV rays, snow, pollen, birds drop and more. Multi-layers to prevent dust, debris, and pollutants out from the exterior and interior. Also 2 antenna patches for your car antenna. Our100% waterproof Ultimate HD car cover will make it easy which one to choose for the best protection of your vehicle. It features 4 combined layers of superior protection for your car. Layer 2 - Protective supporting layer (Layer 1 2 is robustly bonded with a high level of adhesion). Layer 3 - Protective supporting layer (Layer 1 2 3 is robustly bonded with a high level of adhesion). Layer 1 - A Heavy Duty Outer Layer. Layer 2 - Padded Layer. SOFT TOUCH : Soft non scratch inner layer is made of soft fibers to prevent scratches. Features: WE OFFER YOU THE BEST PRODUCTS AT THE BEST PRICES POSSIBLE!Warranty & Satisfaction GuaranteeOur Car Cover comes with a standard 1-year warranty against any defects in workmanship and materials. If a product fails under normal use during the warranty period, we will replace the product.Fitment:ChevroletCapriceImpalaImpala LimitedLumina(Not fit for Lumina APV)MalibuSonora Chrysler300300C300MStratus . Our100% waterproof Ultimate HD car cover will make it easy which one to choose for the best protection of your vehicle. It features 5 combined layers of superior protection for your car. Layer 3 - Protective supporting layer (Layer 1 2 3 is robustly bonded with a high level of adhesion). Made of High Quality Durable Water Resistant materials, keeping Snow / Frost / Ice off your car. Less effort to remove the ice and snow! Convenient to take and easy storage. Ice Scraper & Free Storage Pouch. Free Shipping. Free Cable & Lock Set. 5 Year Warranty! Contact Us Free Shipping 100% Satisfaction Guaranteed Product Images Available Colors Request Color Samples Coverking Triguard Car Cover - Good for both Indoor/Outdoor use - Gray Product Details Coverage: Vehicle Cover Material: Triguard Warranty: 2 Year Warranty Shipping: Free Shipping to 48 Contiguous States Only. There is an extra charge for HI, AK & International Remarks: Covercraft Vehicle Covers are "Custom Fit" and "Made-to-Order" for your specific vehicle Product Overview • Three layers of fabric protect against nicks, dents and dings • Protects against sunlight and moderate weather conditions • Custom manufactured to the exact specifications of your vehicle • Durable cover, perfect for long-term storage outdoors or indoors • Simple. Soft aluminum surface,Sunscreen, Dustproof, Anti-UV, Heat Protection,Scratch-Resistant. It effectively prevent the dust into the car, keeping the car inside and outside clean and tidy. Note： The cover doesn’t fit for the car with antenna. Layer 2 - Protective supporting layer (Layer 1 2 is robustly bonded with a high level of adhesion). Layer 1 - A Heavy Padded Duty Outer Layer. SOFT TOUCH : Soft non scratch inner layer is made of soft fibers to prevent scratches. 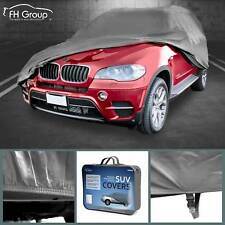 Product: CAR COVERCondition:100% Brand NewPackage Content: 1x Car Cover (4 Under Body Straps)(Mirror Pockets)(Elastic Hems)1x Storage Bag Lentgh :5300mmInherently Water-Resistant Outdoor Protection Our top-of-the-line outdoor car cover fabrici is durable, washable, breathable, lightweight, thin, and won't scratch your car. Not only that, but it is inherently water-resistant - no coatings or laminates - so even after 2-3 years, it repels water as good as new. This magnificent material is the culmination of decades of materials engineering initiative. Car care is a great important task for each car owner. Instead of complexed operation, only a professional car cover will do it for you. This Weatherproof PEVA Car Protective Cover with Reflective Light could effectively protect your precious car from dust, wind, rain, scratch and sun light. Available Color: Black Available Length: Specifications Material resin Width 6mm Package include U style door edge chrome trim This product is 100% brand new. No adhesive tape needed Suitable for Air Vent Grille / Door Edge / Hood Great for decorating the interior, air vent, grill, etc. Can be installed on the edges with width less than 6mm. LIFETIME WARRANTY - SAME DAY FREE SHIPPING - BEST DEAL! Contact Us Free Shipping 100% Satisfaction Guaranteed Product Images Available Colors Request Color Samples Gray Coverking Silverguard Car Cover - Indoor/Outdoor - Great Sun UV Ray Protection Product Details Coverage: Vehicle Cover Material: Silverguard Warranty: 3 Year Warranty Shipping: Free Shipping to 48 Contiguous States Only. There is an extra charge for HI, AK & International Remarks: Covercraft Vehicle Covers are "Custom Fit" and "Made-to-Order" for your specific vehicle Product Overview • Provides maximum protection from the sun's damaging UV rays • Custom made from all-weather, 300 denier, silver-coated polyester material • Breathable fabric reduces condensation under cover • Protects from rain and other elements which can damage. 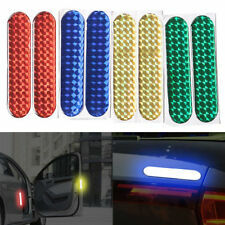 1x Car Door Protector Strip (4M). Protects paintwork along the door edge. Protect your car door against scratches when opening near a close object. Color: White. Length: (approx.). Any item in poor condition will not be credited. 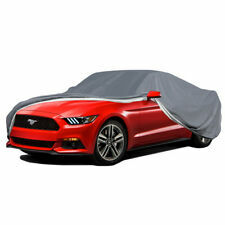 Descriptions: Your Indoor or outdoor car-cover will need to do more than just cover your vehicle. Our car cover fabric employs superior process.Our car cover provides you All weatherproof,Superior dry time ,Breathable,UV resistant, Dust-proof , Scratch-less ,Durable Easy Care protection. 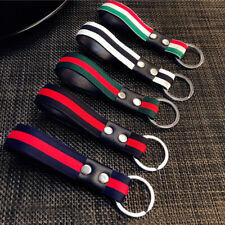 Features: It is made up of high quality materials, durable to use. Superior protection against sun and rain Semi-Customized Car Cover which is designed to fit specific car. 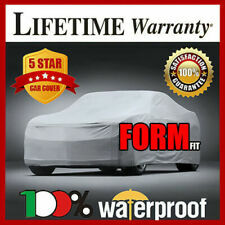 Superior Dry Time, Our car cover material dry faster than woven fabrics. Specifications. Specifications Color: Silver Grey Configuration: 1pc Material: Polyester Size(cm):225*165 Package Weight(kg):0.41kg Pacakge Included: 1pc New Car Cover Descriptions: Your Indoor or outdoor car-cover will need to do more than just cover your vehicle. Our car cover fabric employs superior process.Our car cover provides you All weatherproof,Superior dry time ,Breathable,UV resistant, Dust-proof , Scratch-less ,Durable Easy Care protection. Features:. 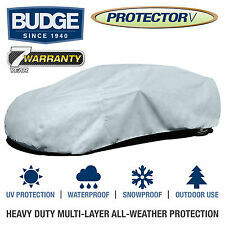 Descriptions: Your Indoor or outdoor car-cover will need to do more than just cover your vehicle. Our car cover fabric employs superior process.Our car cover provides you All weatherproof,Superior dry time ,Breathable,UV resistant, Dust-proof , Scratch-less ,Durable Easy Care protection. Fit for: Make Year Model Chevrolet 1995 1996 1997 1998 1999 2000 C2500/K3500/K2500 1995 1996 1997 1998 1999 2002 2003 2004 C3500 1999 2001 2002 2004 2005 2006 2007 2008 2009 2010 2011 2012 2014 2015 2018 Silverado 1500. MPN: A2SW216. The Double Defender is made of triple-layer material that is non-abrasive and fully breathable. Ultrasonically welded seams improve water resistance and UV treated material protects against prolonged exposure to heat.